Professor Marta López-Garza holds a joint position in Gender & Women’s Studies and Chicana/o Studies Departments at California State University, Northridge. She also co-directs Civil Discourse & Social Change, a campus wide Initiative combining education with avenues for community involvement and sustained activism. 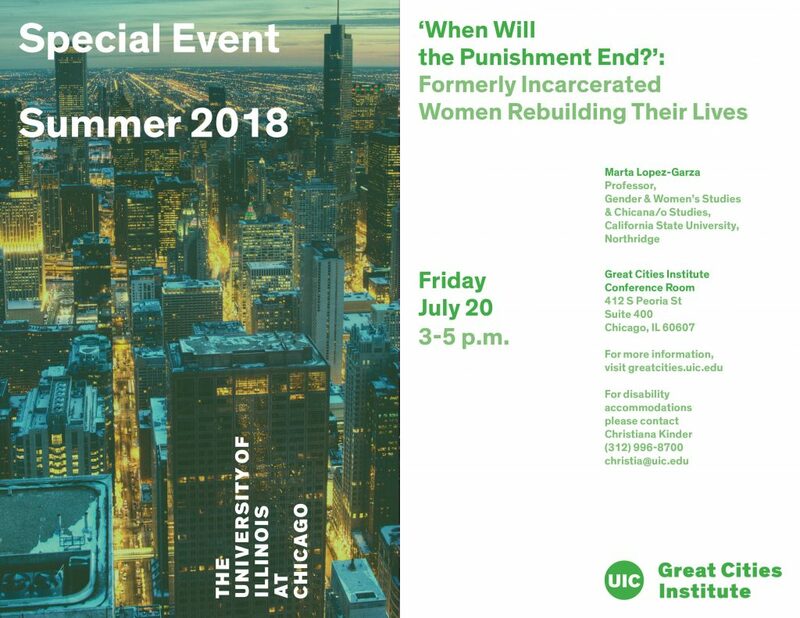 López-Garza’s most current research is on formerly incarcerated women, the subject of her documentary “When Will the Punishment End?” which can be viewed on here. This film follows the women in their journey from prison back to their communities, and their attempts to rebuild their lives and reunite with their families. “Formerly Incarcerated Women Speak Out,” Journal of Progressive Human Services. 27: 2, 2016. “Exploring the Intersections between Scholarship and Activism: Our Journey from Community Concerns to Scholarly Work,” White Washing American Education: The New Culture Wars in Ethnic Studies, editors Tracy Buenavista, James R. Marin, Anthony J. Ratcliff, Denise M. Sandoval. Santa Barbara, CA and Denver, CO: Praeger Publishers/ABC-CLIO. coauthors, Mary Pardo and Yarma Velázquez Vargas, 2016. “Race Classification: The Question of Categorization and Claiming Indigeneity,” U.S. Latino Issues, 2nd Edition, editor Rodolfo Acuña. Santa Barbara, CA: Greenwood and ABC-CLIO Press, 2017. “Formerly Incarcerated Women: Stories of Returning Home, to Family and Community,” Research Justice: Methodologies for Change, editor Andrew Jolivette, Policy Press, Bristol, UK, 2015.